You are here: Virgin Islands News Online » News » Election 2019: When will HoA be dissolved? Election 2019: When will HoA be dissolved? ROAD TOWN, Tortola, VI - Political pundits and social commentators are speculating, as to when the Virgin Islands’ House of Assembly (HoA) will be dissolved, paving the way for new General Elections that must happen before April 16, 2019. The HoA will meet again on Friday, December 28, 2018, but speculations are that there might be one more sitting in early January 2019, and after that, the VI could see the HoA being dissolved by January 7, 2019. However, both Co-Leaders of Government Hon Myron V. Walwyn (AL) and outgoing Premier Dr the Hon D. Orlando Smith (AL) are tight-lipped on an election date. Mr Walwyn who is struggling to recover from a stinging investigation on a wall he commissioned around the Elmore Stoutt High School (ESHS) in which the Auditor General Ms Sonia M. Webster concluded, “persons were paid and work not done”, “prices were inflated”, and there was “no value for money”, as “laws were broken” does not have a full slate of candidates. The wall report is in the hands of the police for further action. Others are saying that elections will be on February 18, 2019, a USVI holiday, Presidents’ Day. Thus far, there are four official political parties announced for the upcoming general elections, besides NDP1 there is a breakaway group NDP2, called the Progressive Virgin Islands Movement (PVIM) headed by a fired Health and Social Development Minister, Hon Ronnie W. Skelton (AL). 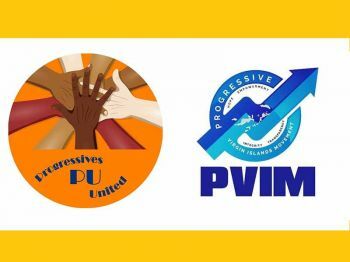 There is also Progressives United (PU) a party headed by Hon Julian Fraser RA (R3) and the Virgin Islands Party (VIP) headed by former Opposition Leader Hon Andrew A. Fahie (R1). In fact, the VIP is the only party with a full slate of 13 candidates. There is also expected to be a number of independent candidates contesting the 2019 General Elections. Many political pundits are also predicting a coalition government, as they don’t see any of the political parties getting a straight seven to form a government. The last time the Territory had a coalition government was in 1983 led by late Chief Minister, Cyril B. Romney (R5) and it collapsed by 1986. With the airways beginning to be filled with political commercials, and the streets of the islands with big billboards and campaign posters, one thing we can agree on, ‘election fever’ is in the air. Not until NDP1 sign off on all their special interests contracts, mad rush to get those done. @Bet. All of their special-interest projects that keep us as waiters and waitresses while all the top jobs come from the outside as usual. More private villas for themselves for when we retire them. In the national interest, HOA needs to be dissolved now and election date set for Feb 2019, not April 2019. The NDP government is a lame duck/dysfunctional government with one more defection and it collapses. The territory is in dire need of a stable government to tackle the current concerning state of affairs and get it back on a steady course, recovering from the devastation inflicted by Hurricanes Irma and Maria. It seems in recent times that every election is labeled a critical election. 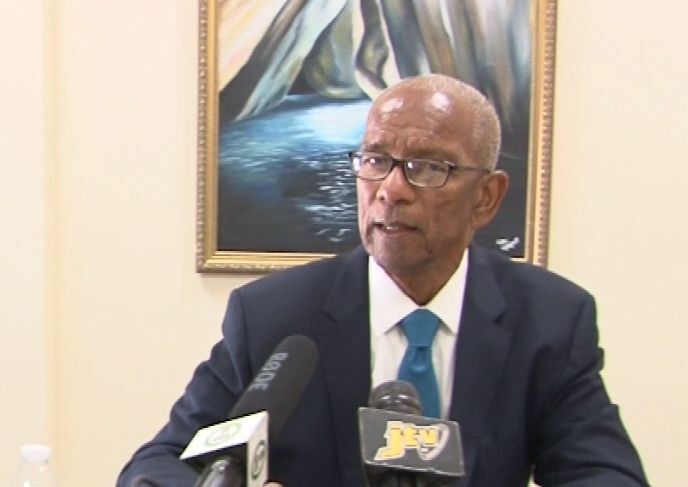 However, thiis election is truly a critical one, for the territory is going through one of its most challenging time in its history post the the reinstatement of the Legislature in 1950 or the start of ministerial system in 1967. Looking in the crystal ball, don’t see as yet a dominant party that can command at least 7 seats. Consequently, a coalition government is highly likely. Tribal politics have infected BVI politics and a coalition government may be the best prescription to start the healing, unifying and civil process. The BVI people have had enough trial and tribulations and deserve better than it is getting. The herb Let's talk about legislation. Sst the youth let them plant it up and make legal money. Boost the economy with another agricultural product.... When we listen world news we can hear this Country that country legaliized Ganja new comers to the business that sees the importance and listening to the masses and we who should no better and should no more acting like we deaf and we blind . The Party that seriously. Factually and realistically talks about legislation of Ganja will win the election .